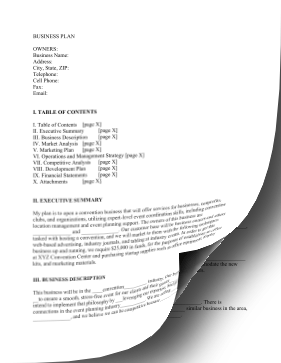 Hospitality businesses such as hotels and conventions can use this fill-in-the-blank business plan. My plan is to open a convention business that will offer services for businesses, nonprofits, clubs, and organizations, utilizing expert-level event coordination skills, including convention location management and event planning support. The owners of this business are ______________ and ______________. Our customer base will be business owners and others tasked with hosting a convention, and we will market to them with the following techniques: web-based advertising, industry journals, and tabling at industry events. In order to get this business up and running, we require $25,000 in funds, for the purposes of establishing an office at XYZ Convention Center and purchasing startup supplies such as office equipment, display kits, and marketing materials. This business will be in the ____convention__________ industry. Our business philosophy is __to ensure a smooth, stress-free event for our clients and their guests____________, and we intend to implement that philosophy by ___leveraging our expertise, background, and connections in the event planning industry___________. We are selling ______________ to ______________, and we believe we can be competitive because ______________. Our goals are to have ______________ in annual sales, and to increase our sales yearly by ______________.